A Wonderful Calming, Relaxing, Grounding, And Emotionally Balancing Therapy. 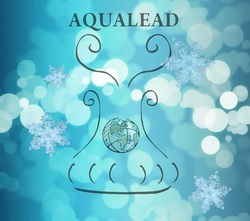 Aqualead is an energy therapy focused on healing water in both living beings and in the environment. It has a strong cleansing and purifying effect as it helps remove toxins and lower vibrations from the water on the Earth, and in the body . We are all at least 70% water so it is logical to focus on this element when healing. An Aqualead session often leads to a refreshed and invigorated feeling and helps one gain more insight and clarity. It can also have a calming effect which is helpful for anxiety, stress and sleep disorders. This healing modality was channelled and developped by Sabine Blais on August 30, 2008 from Angel Ariel. The Energy of Aqualead is an angelic ray of energy and has a very high frequency of energy. It is strongly connected to Elemental and nature beings (Elves, fairies, ect..). It acts mainly on water and its purpose is to heal and cleanse, in order to heal the Earth and all living things. Aqualead energy acts powerfully on the human body. This new healing modality was channelled and developped in Buenos Aires, Argentina. Is Aqualead Energy Similar to Reiki or IET®? Aqualead Energy is a unique energy of its own. It is not Reiki, nor is it similar to any style of Reiki. Even though the modality was channelled with the help of Angel Ariel, it is not related to Integrated Energy Therapy (IET®) in any way. Aqualead Healing is a hands on therapy. it can also be sent distance to any living being, as well as to any body of water, from an ocean to a glass of tap water. Symbols are also used. Aqualead Energy works mainly at the physical level. It will cleanse, purify and energize the water in your body and place it on a higher vibration of energy. The person may experience a strong release may experience a detox after the session. The energy gives a cool, refreshing and invigorating sensation and the client may fall asleep during the session as the healing takes place. The energy also helps clear the mind and emotions, and helps the person gain more insight and clarity. The areas treated are mostly the vital organs and corresponding chakras. The head, throat, chest and abdomen (Solar plexus) are treated. Aqualead energy will cleanse and heal all body fluids and organs that hold/filter water, such as: the blood, kidneys, liver, colon, brain, eyes, lymphatic system and cerebro-spinal fluid. Note: A detox may be experienced after the Aqualead session. *In level I the practitioner can heal and cleanse water in living beings. *The level II the practitioner can heal and cleanse areas or bodies of water in order to perform Environmental healing, including lakes, rivers, oceans, the atmosphere and tap or bottled water. *The Aqualead level III-Master can attract and manifest water. Masters can also teach Aqualead and give the necessary attunements. Yes, anyone can learn this therapy. There are no pre-requesites to learn Level I. An attunement is given at each level of Aqualead Healing to connect you to the healing energy.